What is up with KZ? Is he going to be fighting again? Discussion in 'UFC Discussion' started by frye666, Aug 14, 2016. I swear I can see that guy being a champion. joeyjoejoe and BC like this. If I remember correctly I think a month or two back someone posted something about him planning a October return. Fitting month for the Zombie. PiFFLoRD, joeyjoejoe and Loriquero like this. He's fighting Kim Jong Un as we speak. 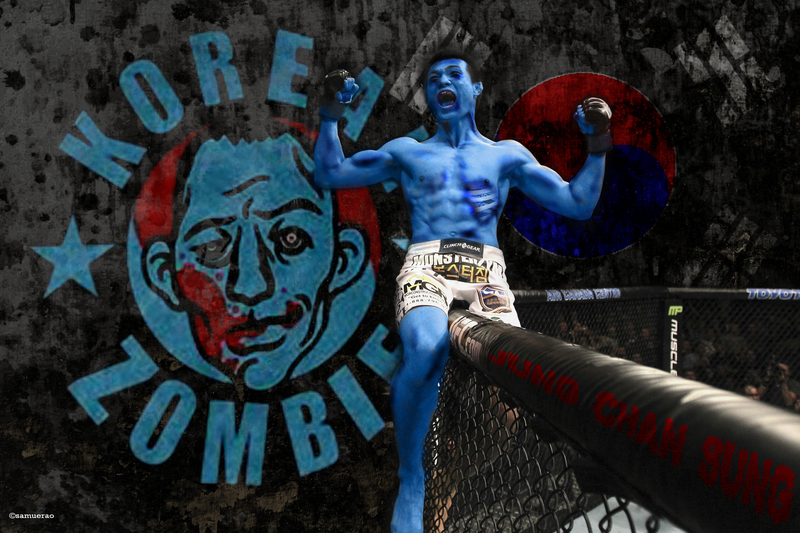 His mandatory (LOL Korea) military service will be ending soon..Can't wait for KZ,he is my favorite fighter after all. If there is a MMA God, he will make him fight in his return against Jeremy Stephens or maybe Oliveira. I would cry happiness tears if the Zombie fights one of those guys. Man, it sure seemed he was laying low in the Aldo fight until the later rounds. Aldo had just shown he can gas his previous fight. And just when KZ went into full KZ mode he got injured. I think without the injury he wins the title that night. Didn't he get KOed by Roop? Yup, and Silva got subbed by Chonan. Goddamn that was an awesome fight. I'm not entirely convinced he would have won but I would have loved to see the fight play out without the shoulder injury. Has he been training MMA at all? Or just been straight killing people since he left? Them shoulders gonna be rusty. FW is probably the most nuts division in the UFC already. when Zombie comes, it is for sure.